Simplex Spelling Phonics 1, best phonics spelling app - PyxWise Software Inc. Within five days of launching, Simplex Spelling Phonics 1 has been featured by Apple as New & Noteworthy in 5 different countries (US, Canada, China, Poland and Romania) under the education category. Simplex Spelling has been ranked as a top educational app, reaching #5 in the Education category in the US (#4 in Canada) and #84 overall across all categories in the entire App Store. Apple has also since featured Simplex Spelling Phonics 1 as the #1 app under What's Hot, as a Staff Favorite and also under "Words for the Wise" and "Spelling & Grammar" in the US. Teachers and educators are using Simplex Spelling with their students and have been seeing dramatically positive results. 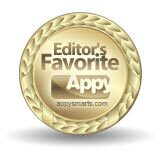 Pyxwise is absolutely thrilled that Simplex Spelling Phonics 1 also became a finalist under two categories in the 2012 Best App Ever awards "Best Elementary Student App" and "Best Special Needs App". This newest version of Simplex Spelling teaches English spelling and reading skills by using a powerful combination of phonics lessons, spelling/word patterns, our unique "reverse phonics" approach and contextually relevant spelling rules. Simplex Spelling Phonics 1 teaches a full year of spelling curriculum and features over 450 high frequency spelling words to help build literacy. It provides 42 instructional lessons in phonics and spelling rules. Each lesson builds upon the skills learned in previous lessons, and students piece their spelling words together in a fun and interactive way. Simplex Spelling Phonics 1 uses our unique "reverse phonics" approach that acts like a personal spelling coach and guarantees success on every spelling word. Spelling patterns and a wealth of spelling knowledge are contained within a beautifully simplistic interface. The powerful hint system phonetically sounds out each word while letting the student see all of the possible ways that a word can be spelled phonetically. Each word can be pieced together from its smallest or simplex sounds, and spelling hints and rules are provided to students in context and only as they are needed. Children can easily pick up and use Simplex Spelling as the introductory spelling list contains spoken instructions that gently guide the child through the app's entire feature set. Simplex Spelling Phonics 1 builds upon all of the great features from Simplex Spelling HD with new instructional lessons, additional spelling hints and tips, and choices for US, UK, and Canadian spelling. Spelling is an auditory skill whereby words are sounded out from left to right. In fact, MRI scans done of the brain during studies on dyslexia have shown that in effective readers the brain reads sound by sound. Spelling in the English language comes with a number of difficulties. In normal speech, many of the sounds are indistinct, and even if the sound is easily identified, there are often many different letter combinations that can make that sound. In order to address these issues, Simplex Spelling Phonics 1 provides the student with a hint button that can be used to sound out a word from left to right and display the different letter combinations that can make each sound. When the sounds are indistinct, the word is simply spoken normally within the sentence. However, the student will be able to hear each individual sound when he or she uses the hint button to sound out the word. Strong spelling programs such as Simplex Spelling Phonics 1 can protect a child against learning disabilities. If a word is learned as a whole object, its letters are more likely to be scrambled. The words within Simplex Spelling Phonics 1 are sounded out and pieced together from left to right, thus training the brain to read effectively and efficiently. Students who are strong spellers are better communicators, and their work is considered more credible, as the reader is able to focus on the content rather than on the spelling errors. Some people believe that they don't need to learn their spelling patterns and rules and that they can just rely on a spell checker. However, a spell checker will only catch between 30 - 80% of spelling errors as it cannot tell which word was intended. For example, all of the following words are spelled correctly (see, sea, for, fore, four, wait, weight, made, maid, be, bee, to, too, two, rite, write, and right). A spell checker will let these, and many other words, pass even if they are not the words intended by the author. For a spell checker to be helpful in suggesting a word, the author needs to be a reasonably competent speller. The spell checker will only suggest the correct word if the attempted word is a close approximation. Many studies have shown that phonics is a more effective means of teaching spelling and reading than using flash cards and the whole word approach. A 7 year study on phonics in the UK showed that students who learned their literacy skills with a full synthetic phonics approach were on average 3 years ahead of the rest of the population in their word reading skills after receiving 7 years of phonics instruction. Hence, in recent years the UK government has changed their country's entire educational system over to a full synthetic phonics approach. Simplex Spelling Phonics 1 takes phonics education to a new level by combining effective phonics lessons with our unique reverse phonics approach. This comprehensive phonics program is combined with contextually relevant spelling rules and reminders to teach students "How to Spell" English words. Studies have shown that not all good readers are good spellers, but good spellers invariably make good readers. "Understanding the sounds attached to letters and learning to sound out words are necessary skills for students to become independent readers. Simplex Spelling Phonics 1 makes it easy for students to practice these critical skills while boosting confidence. The app helps bridge the gap between phonemic awareness and phonics. 450 high-frequency words are taught in forty-two spelling lists focused on specific concepts such as short vowel sounds, long vowel sounds, phonograms (letters that represent the sound such as "–ump" in bump), and diphthongs (gliding vowels such as cow). The interface is clean and the navigation is simple enough for a child to work independently without a teacher or parent (after the student views the helpful introduction lesson). A soothing voice prompt presents the word to spell and then uses the word in a sentence. After the student attempts to spell the spoken word by clicking or dragging and dropping letters into the tiles provided, color-coded letter tiles reveal incorrect / placement issues allowing the student to achieve success on every word presented. A hint button presents letter-sound correspondence, phonetic spelling variations, and offers help sounding out the word. The app allows multiple users to save their progress and provides tracking for teachers and parents to review. The app even supports U.K., Canadian and U.S. English. It's a great value too! The hint button and color-coded feedback were the apps best features. These two elements allowed students to gain mastery quickly and work independently." Simplex Spelling Phonics 1 was a second runner up in the 2012 Best App Ever Awards under the category of "Best Elementary Student App" and it also received an honorable mention in the category of "Best Special Needs App". There were more than 5,000,000 votes cast in the 2012 Best App Ever awards. "The app guides children through each lesson and corresponding list with easy-to-understand pleasant voice prompts." Apps For Homeschooling (5/5, Golden App Award, Readers Choice Award 2011, App of the Week). "Simplex Spelling Phonics 1 is certainly one of the best, most intensive spelling apps that I've found." "Simplex Spelling Phonics 1 is one of the most powerful spelling apps for phonics I've ever used. The arrangement of 450 high frequency words according to phonetic sounds and principles, the self-correcting, direct-instruction, statistics, multiple users – it meets ALL of my criteria." "The introductory lesson teaches you and your child how to use the app, and encourages exploration of the built-in phonics hints that help your child to learn in detail how English words are constructed phonetically." "My daughter (8) loves that she can use this app independently to learn phonetic patterns of spelling that we haven't yet covered together in our one-on-one learning times, but because it includes excellent direct instruction, this app can be used as a primary source of phonetic spelling instruction." "My favorite part of the app are the detailed explanations of phonetic concepts and rules, particularly the additional explanations that are available by clicking the white starburst in the phonics hints for each letter, and the arrow bars connecting silent e's with the vowels they influence." "Phonics 1 uses spelling to build literacy since students are required to spell the word using a keyboard (ABC or QWERTY) after hearing the word said and used in a sentence as opposed to learning the word solely based on sight and memorization." "This app is incredibly easy to use- there is even a tutorial for first time users." "Phonics 1 is an excellent app for English language learners and emerging readers. It could also be useful for students in speech therapy by including the pronunciation of words by the student." "I love that multiple users can be added to the app and that each users progress is saved! Simplex Spelling Phonics 1 is another excellent app by Pyxwise." "As a child embarks on the road to spelling and reading there are five key areas that a child should focus on: vocabulary, phonemic awareness, sight words, phonics and comprehension. As you explore with this educational app, teachers and parents will quickly see how these five concepts have been integrated fluidly." "With a year full of spelling curriculum which has over 450 high frequency words divided into 42 lessons, your child will be building their confidence as their base foundation of literacy is being established." "Applicable2U is truly excited with the updates that have been made from their other spelling application, Simplex Spelling HD." "The overall purpose of this educational app is not to memorize, but to rather transfer this learning to become efficient readers and spellers with a solid comprehension of the phonics approach." "For a simple .99¢ download, your child or student will be gaining a lifetime of academic skills that will be applied throughout their early stages of life." "The Simplex Spelling Phonics application is wonderful. I work with students with autism and my students absolutely love it. It is an amazing way to learn the spelling and phonemic awareness of words. My students were motivated to keep spelling the words. My students loved when the program said and they saw good job, excellent, mastered go on the screen, it was a positive reinforcement. I also love that this programs goes through all of the sounds of the alphabet that are hardest for students to pronounce and use in real life situations. Students with autism learn in a different manner. By going through words and showing the short a, long a, short e, long e along with the rest of the vowels in order, it allows students to learn flawlessly. When students need help they can press a button and get phonics help to spell the word. This is very useful because it helps my students to build independence. My students were able to recognize word families and help create a "at" and "ad" word family in the classroom. My students are so happy to learn by playing and your application promotes learning through play, which is the best way to learn. Thank you for creating this wonderful application. I would recommend this application to all parents and educators. It would be a great use for anyone to utilize with both disabled and non-disabled students/children." "Every week, I search through thousands of apps on iTunes looking for "The One". The one app that will help me teach phonics to struggling middle school students." "WOW!!!! I found my miracle app (which seems like a little much to say, but it's true) in Simplex Spelling 2 (and 1) Phonics! Not only does this app help students learn spelling constructs, but it also teaches all of the sounds in words which will, fingers crossed, result in increased decoding skills. It looks mature for middle school students and provides lots and lots of practice. It separates consonant blends into single sounds (Hooray!) and every vowel combination and sound variation are well represented (i.e., the sound "o" can be spelled o, oa, oe, ow, o_e, etc). During the spelling activity, you can access all of the sound variations via the "hint" buttons." "I am excited to let people know about this wonderful app. I am surprised it took me this long to finally hear about them. This app, Spell Phonics, is an app designed not to just help kids memorize words but to help them actually learn to spell." "I have to praise the developers for doing their homework on this app it has several features that make this an essential tool for learning. First, this app doesn't have any in app purchases, pop up ads, or connection to social media. As a teacher and a special needs dad, I am so happy to know I can let my kids work on this app and not have to worry about them being exposed to something inappropriate." "Another thing I like about Simplex apps are that they teach you how to use the app before you can just start "playing." There is an introduction lesson that walks kids through how to use the app. My 6 year old loves being able to show me the words she has mastered. Parents or teachers can set up over 40 user accounts that allow you to keep track of the progress your child is making as the work there way through the app. Having over 40 user accounts means that one teacher can set it up for their whole class." "The app works consistently and is very pleasing to the eye with crisp colors and sounds. It isn't too loud or too over-stimulating. Both of my kids with autism respond well to visual cues and have been very interested in this app." "A lot of spelling apps I have tried are good but are based on memorization. This app is focusing on helping your child learn to spell not just memorize. You get loads of content and no pop-up ads. It's a solid buy for a classroom or for home." "Simplex Spelling is a top educational app for learning reading, spelling, and phonics, and after just the introductory lesson, it's easy to see why." "Simplex Spelling points out that spelling is an auditory skill in which words are sounded out from left to right, and children can use the auditory cues and the hint button to help their brains develop and learn how to sound out words. " "Simplex Spelling by Pyxwise is one of the most intensive and effective spelling applications available. The instruction is direct and easy to understand, and many children can use the app independent of their caregivers or educators." "Simplex Spelling is available for iPhone and iPad and costs $4.99 -- a tremendous deal for all this app has to offer." "This is an incredible app that focuses on spelling skills and more." "I really think they nailed it!" "This app is perfect for beginning students to introduce them into the world of reading and writing." "The developers have just made a really incredibly intuitive interface. The layout and the functionality is very well executed and it's ultimately very easy to use." "This is a really well thought out and executed app and you are going to find that it is extremely effective." "I love the Simplex apps for the solid focus on building a foundational phonics system while learning accurate spelling. " "I find it great practice for overall phonics growth (the foundation for solid reading)"
"This app attempts to make sense of English spelling, which doesn't always make sense or follow set rules. Giving students immediate feedback visually gives them a chance to self-correct and enjoy success. Spelling is broken down into individual sounds to make it as simple as possible. The reliance on learning rules rather than lists helps ensure students understand the correlation between letters and the sounds they make." "Simplex Spelling was marvelous to begin with and I think the dedicated focus on phonics makes this app a powerful teaching tool." "it's the little extras that set Simplex Spelling apart. It's quite wonderful. If children get stuck on a word there is a hunt button that reveals phonics hints. For each letter they can see the letter and letter combinations that make the sound needed for the word. The correct one is shown in —[blue] so it's easily identifiable but I like that children get to see all of the phonograms and sounds." "Simplex Spelling Phonics 1 also has the interactive tutorial found in the original Simplex Spelling. Here the app's features are turned into a spelling list. As children go through this first spelling list they will also be learning how to use all of the features in the app. It's one of the most effective tutorials I've used." "If you're looking for a solid, educational spelling app that will build confidence in your child, this is one for you." "Simplex Spelling Phonic 1 is another top spelling app by Pyxwise Software for iPhone/iPod/iPad." "Simplex Spelling Phonics offers is an easy to use, bright and clear spelling app. There is no distraction so kids can go on with learning. The method offered helps improve English spelling and reading." "We also liked that each word is used in a sentence which helps Kids improve their vocabulary and comprehension." "It offers a set lists of word and does not give you the flexibly to use your own words. We tend to agree as the goal of this app to is teach and learn the basics behind spelling. Each list corresponds to a group of words and adding other words would confuse the kids. It is not a spelling app to practice instead it is a teaching app where the goal is to learn the rules and set lists of high frequency words." "Simplex Spelling Phonics 1 is a great spelling app using the phonic[s] approach that we like! Kids can learn the foundations and basic rules behind spelling and thus ensure long term results. It is clearly presented, easy to use. It is a learning app in the sense that it does not offer any gimmick or animation, the whole focus is on learning how to spell and sounds rules. Another Fun Educational Apps Top Picks!" "As a parent, there is a lot to like about this app"
"I found this app so compelling that I will also be adding the companion app, Spelling Simplex HD, to our home curriculum as well." "Spelling Simplex Phonics 1 is a very powerful supplement to improve a student's spelling and reading ability. It provides comprehensive knowledge that will support children in the mastering [of] phonics – a skillset essential to having good foundation to long-term literacy"
"I love that key spelling patterns and extensive spelling knowledge is imparted almost seamlessly by a simple and intuitive interface. As each word is pieced together from its smallest or simplex sounds, spelling hints and rules are provided to students in context and only as they are needed and requested. This app feels like it really helps to provide a firm foundation for students looking to become good spellers and efficient readers." "It seems like the folks over at Pyxwise Software can't stop making great apps for the iPhone and iPad." "The interface is still easy to use and hints help the user along the way if he or she gets stuck on a particular word." "This is a great app for teaching your children to spell. A great tool for car-schooling when you're driving around town." "The interface is easy to use and hints help the user along the way if he or she gets stuck on a particular word. This is a great app for teaching your children to spell." "It is an awesome and a solid, educational spelling app to help boost your child's confidence." "The quizzes are encouraging and challenging, and the voice commands are clear and calm." "This app is for people who want a well-planned spelling curriculum that combines high-use words, basic old-fashioned phonics with clear instructions, and easy use." "If you like Simplex Spelling HD, by Pyxwise Software, then you'll definitely want to download their latest app, Simplex Spelling Phonics 1." "Pyxwise Software has done it again! Simplex Spelling Phonics 1 is a terrific spelling app; one that we will definitely be using at our house"
"Highly recommended. A very good explanation and a clear voice that tells everything." "It really is a winner again with lots of good explanations, options, clear and very educational. Definitely a deserved award!" "Simplex Spelling Phonics 1 (by Pyxwise Software Inc.) is a comprehensive spelling and reading phonics app that will help increase your child's longterm spelling and reading skills, featuring a year's spelling curriculum with over 450 high-frequency words and 42 spelling lists." "Pyxwise Software Inc. has done a great job in developing this education app to help kids learn through phonics." "Simplex Spelling Phonics 1 is an excellent education app to help your child learn how to spell and read well because of its extensive content, use of phonics, and focus on the most used high-frequency words." "highly recommended for educational learning"
"Simplex Spelling takes phonics education to a new level." "We particularly liked the module that made it sound like you are competing in a spelling bee, giving them the word, using it in a sentence, and then helping them sound it out." "We think you will agree that this app is great for grade-school aged kids! It's not cute or babyish at all, and will be a good addition to study time in most homes." "the very best you are going to find for your young children." "just the right combination of learning and fun!" "Simplex Spelling Phonics 1 is an easy to use app that provides phonetics-based spelling lists to your child." "Teachers and parents will benefit from the app since memorization of sight words should not be the only strategy used for spelling lessons. Phonetic spelling is also helpful for early readers who need to sound out words." "Bottom line: an excellent choice for teachers and parents (you may want to check out the other apps from the 'Simplex Spelling' series, too)." "We especially like using the "Hint" button, even when hints are not necessary. This option allows the user to see a dropdown list of available letters that could make the desired sound to complete the word." "The app helps users see phonics in action in real time, as they put together words." "this multisensory experience really helps reinforce learning." "Words are used in the context of a sentence. This helps users decode contextual meaning to improve vocabulary and is also helpful when the app is used in conjunction with other exercises, like handwriting and Speech Therapy." "The app is fun to use and easy to understand."